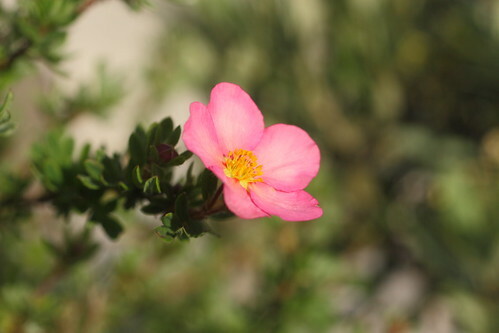 Potentilla is a large genus of flowering shrubs from the family of rose. Most of the plants from this genus are small leafy shrubs that make good choice for mixed borders or as hardy ornamentals. Native to the northern hemisphere, Potentilla can be found in Asia, North America and Europe where they grow as prolific bloomers. 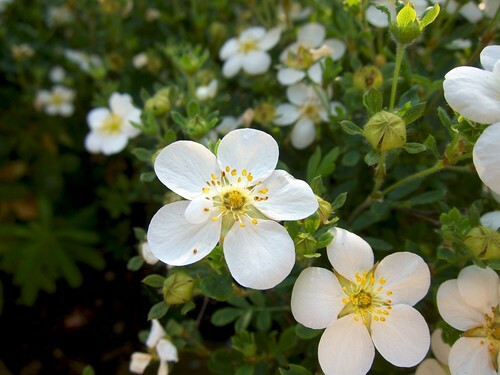 Potentillas are generally grown as hardy ornamentals for their colorful and showy summer flowers of white, yellow, pink, red and golden colors. A number of cultivars are also grown commercially. Some of these grow quite well in cooler climates. Among popular species of Potentilla, P. fruticosa is grown widely for its flowers and described as ‘Golden Finger’. It is characterized by dense growth of foliage, and showy yellow flowers. 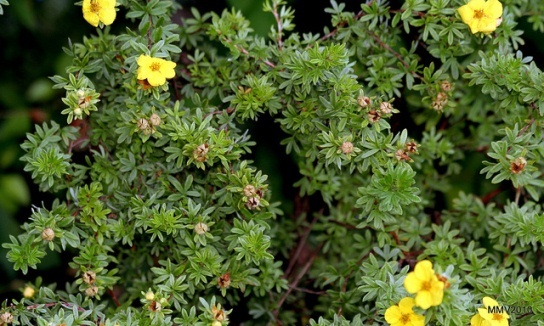 Like other species in the genus, Potentilla fruticosa can be propagated easily from seeds. It prefers a regular soil mix, moderate watering and a sunny spot. If you are looking for a hardy ornamental for filling empty spaces and some nice flowering, Potentilla fruticosa should be in your list.